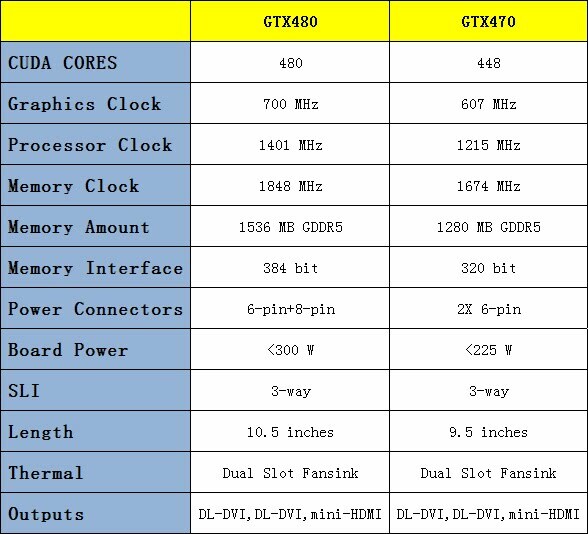 This is a new perfect review from guru3d I select it for you guys, lets take a look at the new fermi based card from Galaxy the KFA2 (Galaxy) GeForce GTX 470 Benchmarks and how it perform compared to the reference card . KFA is proud to launch the fermi-based graphics card named KFA2 Geforce GTX470. Which is Next generation architecture delivers incredible gaming performance at maximum resolution and quality settings.Compared with the black reference board of GTX470, KFA2 has employed gray frosted design as an extra touch of styles and toughness. The card is marked with an eye-catching tag of "Fermi GPU inside". Fermi is the codename of new-generation architecture. KFA2 is also thoughtful enough to label nearby the power connector that "at least 550W of power supply is required"With DirectX 11 support, NVIDIA PhysX technology, mini-HDMI 1.3a output and NVIDIA CUDA technology with CUDA C/C++, DirectCompute 5.0 and OpenCL, the GTX470 is born for PC enthusiasts and gives your games an adrenaline shot with screaming-fast performance and futuristic, visually-stunning graphics. World’s fastest gaming GPU delivers unparalleled 3D realism and immersion ! - Next generation architecture delivers incredible gaming performance at maximum resolution and quality settings. 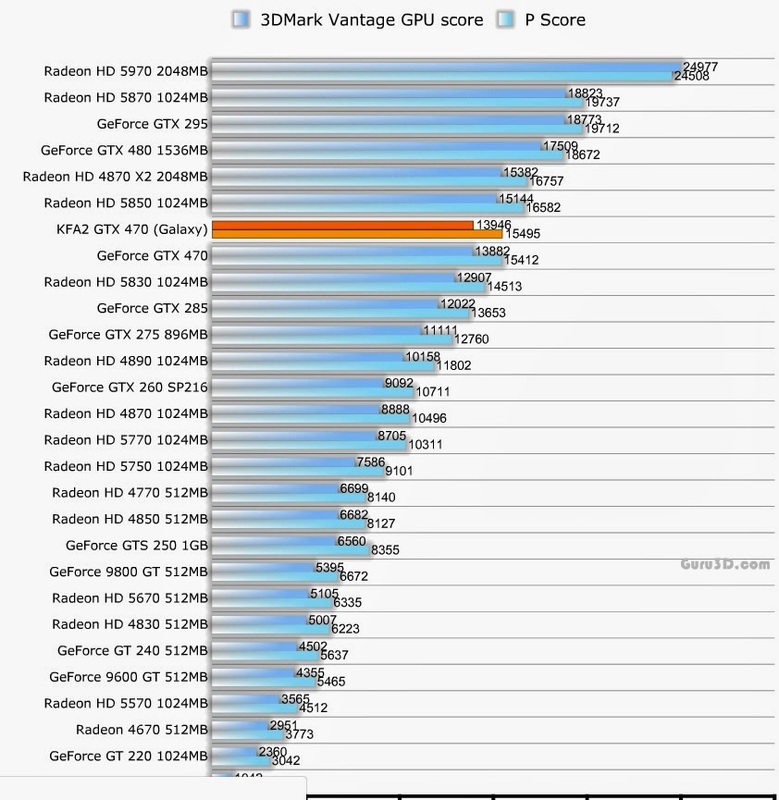 - Faster performance than any GPU on the market in today’s and tomorrow’s games. - New high-speed 32x anti-aliasing smoothes edges for top notch visual quality. - Revolutionary DirectX 11 technology and NVIDIA® CUDATM architecture bring games closer than ever to cinema-quality effects and visuals. - NVIDIA PolyMorph Engine, the geometry processing engine built from the ground up for DirectX 11 tessellation, enables incredibly detailed game characters and terrain with blazing performance. - New CUDA GPGPU architecture accelerates image processing effects such as motion blur, depth of field,transparency, and soft shadows for truly cinematic visuals. - World’s first consumer GPU to enable interactive ray tracing for ultra photo-realistic scenes. - NVIDIA® PhysX® technology brings games to life with dynamic, interactive environments. - 2 times the PhysX performance over prior generation GPUs for dynamic game effects such as turbulence,fluids, and smoke. - New NVIDIA® GigaThreadTM scheduler allows 10 times faster switching between graphics and physics processing, enabling more complex effects to be rendered in real time. - GeForce GTX 480 provides maximum graphics horsepower for triple screen 1080p 3D Vision gaming.